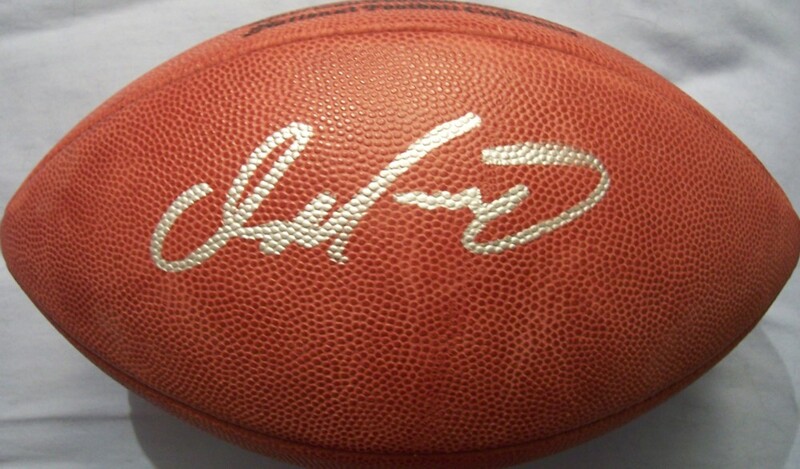 Official Wilson NFL game model football autographed in thick silver paint by legendary Miami Dolphins quarterback Dan Marino. Obtained in person during Super Bowl 37 week in San Diego. With certificate of authenticity from AutographsForSale.com. ONLY ONE AVAILABLE FOR SALE.